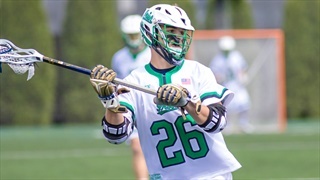 Lacrosse season is almost upon us and here's a look at the 2019 Irish. Notre Dame's John Sexton adds another award to cap off an impressive career. Notre Dame will spend 11 days in Spain taking in the culture but also playing quite a bit of lacrosse. No. 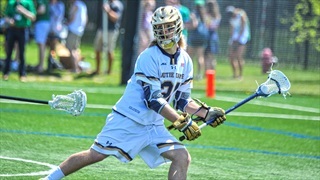 7 Notre Dame hosts Denver in the opening round of the NCAA Championships on Sunday afternoon. 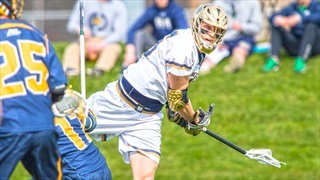 The second season is here for Notre Dame lacrosse. 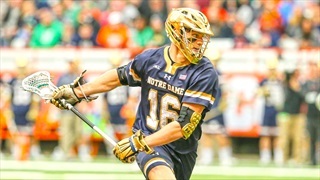 Notre Dame's LSM John Sexton has added another award to his resumè. 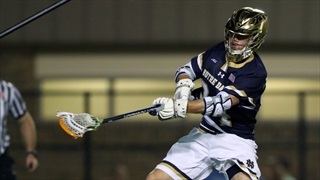 Watch highlights from Notre Dame's ACC Lacrosse Championship win over Virginia. 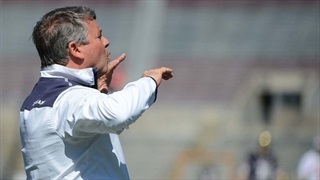 Lacrosse head coach Kevin Corrigan spoke about winning the ACC Lacrosse Championship. 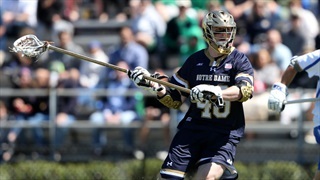 Notre Dame downed UVA 17-7 on Sunday afternoon to win an ACC Lacrosse Championship. 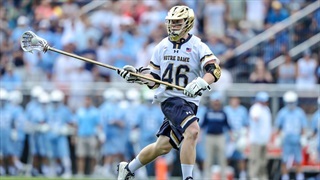 Notre Dame looks to win an ACC Lacrosse Championship on Sunday afternoon. Notre Dame escaped a trip to Marquette with a 7-6 victory after two goals in the final minute. The Irish offense struggled at the Carrier Dome on Saturday afternoon. Notre Dame held off Ohio State to improve to 5-2 on the year. 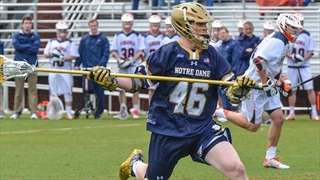 Notre Dame kicks off the LAX season on Sunday and here's everything you need to know. Notre Dame knocked off Marquette on Sunday afternoon to advance to the NCAA Quarterfinals. The Irish open the NCAA Tournament at home on Sunday. Notre Dame hits the road on Saturday for another big match. 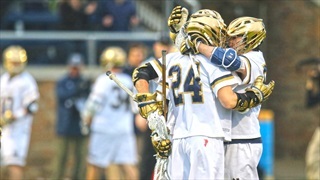 Notre Dame fell at home to Syracuse on Saturday afternoon. 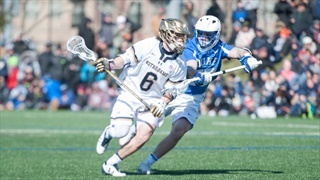 John Sexton and the top-ranked Notre Dame lacrosse team takes on #3 Syracuse on Saturday. Notre Dame travels to Denver for a big match on Sunday.